New Year 2019 is coming soon. What are your new year's resolutions? You must have some plans. New champion Valentina Shevchenko shared her plans for new year. She is spending time with her family and celebrating Christmas. Valentina Shevchenko is a professional mixed martial artist. She was born on March 7, 1988. When she was five years old, she started practicing Taekwondo. Her mother and sister always support her to be a good fighter. Later she started doing Muay Thai kickboxing and Vale Tudo. She has a bright career in martial arts. Now she is Women's Flyweight champion defeating Joanna Jedrzejczyk at UFC 231. Valentina said it was a good fight. And that was not just a regular fight, that presented the art of fight. She is ready for any fight and wants to hold the belt long. 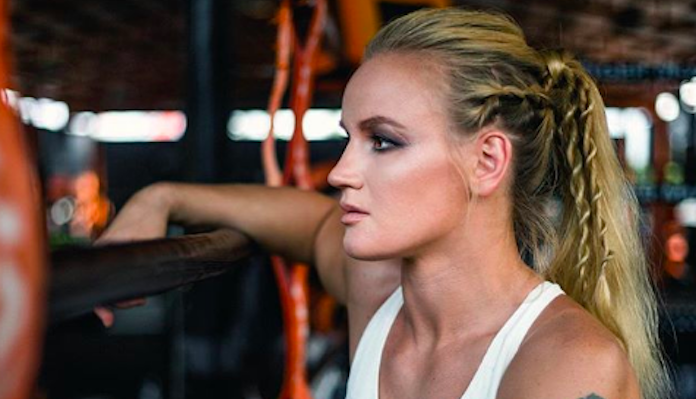 What is Valentina Shevchenko going to do in 2019? Valentina Shevchenko will be very active in 2019. She will just fight, it does not matter who is her opponent. She will do her best. She does not have any injury. She takes some rest and is going to start her training soon. I like the way Valentina Shevchenko fights. She is a great fighter. She has a lot of experience in martial arts. Having an open mind is very important to learn anything. She does not limit herself only one style, she explores more to learn. 2019 is going to be very exciting! Wish her good health and success! Thank you for reading this post. I will be back with another post.